Why are Businesses Required to Carry Workman’s Compensation? When you open a new business, you might wonder why why businesses are required to carry workman’s compensation. Also known as workers’ compensation, this is a type of insurance policy that protects workers from injuries on the job. It reduces the risk that you might face expensive lawsuits from both former workers and your customers or clients later. You should learn more about the insurance and who needs it when starting your own company. Workman’s compensation is essentially a type of insurance. Instead of paying for accidents that cause damage to your home, person or vehicle, it covers accidents that happen on the job. The reason why businesses are required to carry workman’s compensation is because it protects the owners of those businesses. While you might think that most accidents occur in manufacturing complexes or on construction sites, just as many happen inside office buildings and retail shops. Those who spend long hours sitting behind a desk or standing on their feet may suffer from repetitive stress injuries and other problems that leave them unable to work. A workers’ compensation policy goes a long way towards protecting you from lawsuits in the future. As the owner of a company, you are responsible for the safety of all your employees. If a worker falls and breaks his arm, he can file a claim against you for his medical bills. That employee may also file a claim that pays for time he must take off work to recover. If you do not have a compensation policy in place, that employee can hire an attorney and file a lawsuit against you, which may cost you more than you ever expected. In addition to protecting you and your employees, workers’ compensation policies can also protect your customers and clients. For example, you might own a construction company that does renovations on local homes. If an employee suffers an injury on the job site, that worker may file suit against the owner of the home and state that the owner did not keep the home in a safe condition. 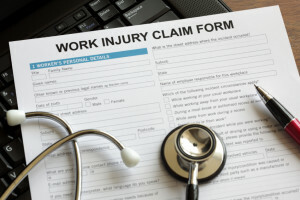 Many states require that companies of this type have insurance plans like workers’ compensation to prevent workers from going after your clients. Do All Businesses Need it? The reasons why businesses are required to carry workman’s compensation include the protection of workers and customers. Though you might think that all businesses need a policy of this type, only certain companies do. According to Entrepreneur, companies that are part of a partnership and sole proprietors do not need workers’ compensation. A sole proprietor is someone who owns his or her own business and does all the work. Even if you hire some temporary workers or contractors, you do not need workers’ compensation. Many sales companies pay their workers a commission fee for each sale they make instead of a full salary, and those companies do not need workers’ compensation policies. The protection of your employees should always be on your mind as the owner of a small or large business. No matter how many workers you have, you need a workers’ compensation policy. Reasons why businesses are required to carry workman’s compensation include protection of clients or customers and protection of yourself and employees.